Purchased! This one’ll tide me over until the new one comes out. I’m intrigued by the Kickstarter project but I wonder if all those people in the images have been consulted about whether or not they give permission to use photos that recognizably show their faces. I hate posing for pictures and candid shots can be downright humiliating. Not that the people sneering at her deserve to be protected, necessarily, but there are lots of people in these pictures who aren’t doing anything bad that should be exposed. I have read your blog closely for the last few months. I found it after the bikini post went to facebook and I stayed for the recaps. I must admit I love them. I almost love them enough to say it’s worth those horrible 50 Shades books having been written just to be able to laugh along with the recaps, but alas the books themselves make me so angry I can’t condone their existence. “A Choice Fit For A Queen” however was a very enjoyable book and did not make me angry at all! I bought the anthology “If Ever I Would Leave You?” just because yours was one of the books and it was worth every penny! I am a huge fan of your wit and humor ( I consider those two seperate things) and was thrilled to see the characters you created are believable and their choices realistic. I am definitely a fan! Sadly, I am also apparently rather stupid because while I know you’ve written 22(ish?) books under three(ish?) names, I could only find the 7 you have posted under Read Jenny’s Books. Is there somewhere else I can go to see what else you have published? I’m sorry if this was covered elsewhere and I just do not see it. I cannot WAIT for The Ex! I got myself a Kindle a couple of months ago and thought I’d christen it with The Boss. I stayed up until 2 am because I couldn’t put it down (so really you owe me an apology for causing me to yawn my way though work the next day). Then, somewhere halfway through The Girlfriend I realised that I was not used to reading books with a Dom/sub relationship where the characters actually had respect for each other. It was a light-bulb moment of “so this is how it should be done!”. So while I really do want you to release The Ex like right now because I need more Neil and Sophie (and Emir) shenanigans, I am also so happy that you care so much about the quality of the work you put out. Clearly I’m drawn to places that probably have people of a similar frame of mind for the most part, but it always makes me smile to see that across the webs, people are appreciating your hard work… I know I do!! Do you pick the titles yourself? 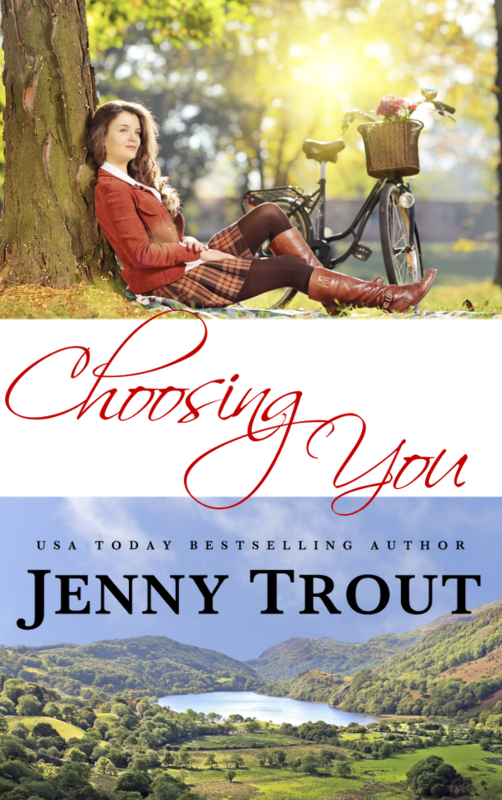 Because “Choosing You” for a romance story sounds like Pokémon slash in a very specific way. I do, in fact, pick out my own titles. And now you know my secret Pokemon shame. Hey, if it works for Twilight fanfic, right?